Dare you explore the forest? It's full of things you need, and there is treasure to be found. But beware! The forest is also full of monsters! 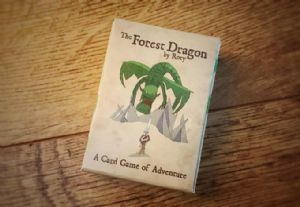 In The Forest Dragon you will create a fantasy world from cards, and then explore it. In a round of the game players lay out rows of cards that make up the world they are going to explore. They take it in turns to reveal one card at a time, and follow instructions on the card: Resources are collected in your backpack. Adventure items also go in the backpack, but help with the adventure. Monsters will end your expedition, sometimes taking items you've collected! You can chose to head home at any time and bank your finds. Or keep going, risking it all! Pushing your luck and knowing when to stop are key. 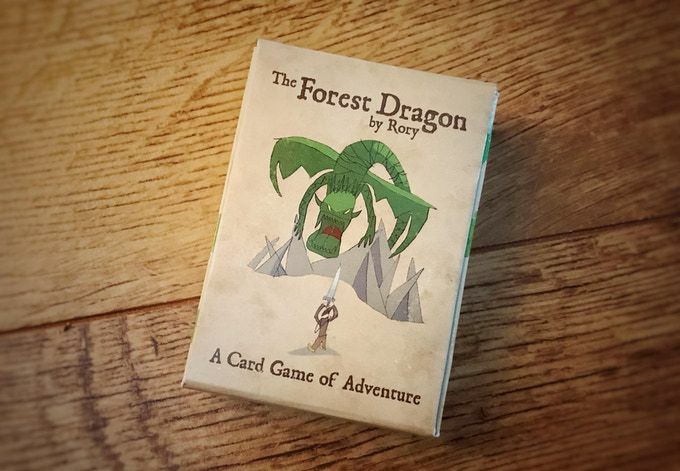 With amazing art from Rory and his little brother Ben, and with just a little help from their dad, games-industry veteran Jon Hodgson, The Forest Dragon is a fast and exciting game for the whole family!